AMBIANCE IS EVERYTHING. I like to start my spa evening by lighting a LATHER Lavender Aromatherapy Candle, $20.00 (or three!). Candle light sets the perfect mood and the gentle, room filling scent of lavender immediately imparts a sense of peace and calm that helps pull me down from my busy day. This beautiful candle is formulated with natural, paraffin free soy wax, lavender buds and clean essential oils then it is poured into a frosted glass jar and topped with a silvery lid. This candle is a perfect gift or indulgence. SOFT, SMOOTH SKIN IS MY GOAL, every time I jump in the shower. When it's spa evening and I am intent on exfoliating and cleansing at the same time I am indulging my senses, I reach for LATHER Lavender and Olive Foaming Body Scrub, $22.00. This fun, lavender scented, spongy scrub mixes with water to form a creamy lather that exfoliates while it thoroughly cleanses my skin then rinses away clean, leaving me feeling smooth, all over. I CONDITION MY SKIN RIGHT OUT OF THE SHOWER OR BATH by smoothing on body oil, all over my wet skin then ever so gently patting dry. LATHER Balancing Sea Kelp Body Oil, $36.00 is a fragrant and skin loving mix of Evening Primrose, Grapefruit and Grapeseed oils enhanced with a heady essential oil blend including Bois de Rose, Geranium and Thyme that wrap my senses in warmth and comfort. The fragrance of this oil is very powerful in the bottle but it softens and mellows as it is spread across the skin but if you are scent adverse or sensitive, this oil is not for you. vitis vinifera (grapeseed) oil, aniba rosaeodora (rosewood) oil, vetiveria zizaniodes (vetiver) root oil, panax ginseng root extract, hypericum perforatum (st. john’s wort) oil, ocimum basilicum (basil) oil, persea gratissima (avocado) oil, pelargonium graveolens (geranium) oil, fucus serratus oil, thymus vulgaris (thyme) oil, rosa canina (rosehip) oil, oenothera biennis (evening primrose) oil, tocopheryl acetate, rosmarinus officinalis leaf extract, ascorbyl palmitate, caprylic/capric triglycerides, ascorbic acid, tocopherol, citric acid. FOR THE PERFECT SKIN SOFTENING TREAT it's time for LATHER Sofian Lavender Whipped Body Cream, $22.00. This beautiful, soft lavender scented hybrid between a body cream and a body butter is whipped to be light in feel, spread easily across my skin and drop in to deeply hydrate but never feel sticky or oily. THE PERFECT LITTLE PICK ME UP OR CALMING TOUCH are the LATHER Day & Night Duo Wellness Balms, $15.00. These shea butter and natural essential oil balms are a lovely way to help wake me up and focus or calm me down and get me ready to snuggle down for a good night's sleep and they are good for my skin, too! LATHER is Leaping Bunny Certified Cruelty Free and is committed to sustainable and Earth friendly manufacturing and packaging. 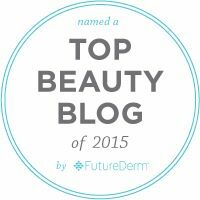 What are your favorite pampering goodies for your perfect spa-at-home experience? Please do tell. 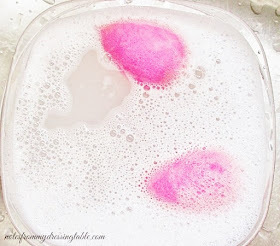 And don't forget to take a look at the other blogs in this week's Makeup Wars linkup! LATHER is such a fabulous brand. I've tried a few things and have liked every single one! You should be the spokeswoman for Lather. I know your love runs deep!! Oooohhh! LATHER...I do heart this brand! Never heard of this brand but I want to give them a try now. 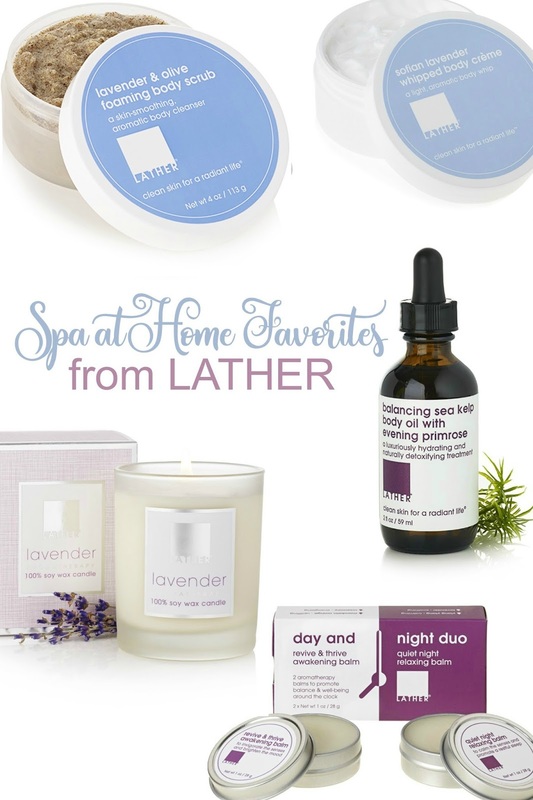 I havebeen wanting to try something from Lather, and these sound really fantastic.